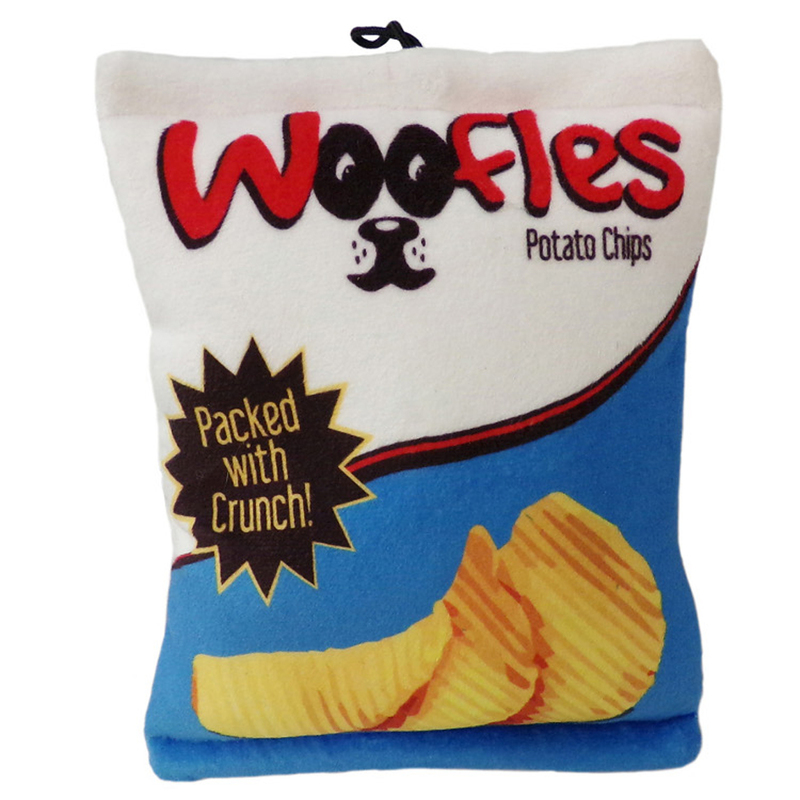 Take a bite out of junk food with this squeaky Lulubelles Power Plush Woofles Potato Chips Dog Toy! The Woofles Chips Dog Toy will entertainment your pups late night snacking. Made of Power Plush technology where its soft on the outside but tough on the inside! Each whimsical POWER PLUSH toy is backed inside with an extra layer of durable mesh fused on the inside to make these high-quality, soft plush toys hold up to the scrappiest canines! No loose pieces and strongly stitched seams. All toy material used is safe, non-toxic and has no heavy metal. Squeeze! Squeak! Each toy has a squeaker inside! Power Plush is dedicated to Safety! They are made with non-toxic dyes and comply with the U.S. and European children’s toy standard. Posted On 08/11/18 by ThatOneDogGuy 1 from , Yes, ThatOneDogGuy 1 recommends this product! My pup was in need of a toy, so I found one here. I thought the fun and realistic look was adorable! I ordered right away. As the bag says "Packed With Crunch!" it is! The bag crinkles and squeaks. The crinkle makes it seem like a real bag of chips. It is also VERY durable. It almost seems impossible for a dog to break. The cute play on popular brands using pet references is also very clever. I would highly recommend this toy for someone who likes durable and fun toys for their pups. Baxterboo. Know their four legged customer. Wish more did. Keep up the good work. Zasu bijio and Lucky.